Jewellery Repairs by post UK. Ring sizing by post. Ring repair by post sent back to your home by Special Delivery. We can repair jewellery that other jewellers do not have the sufficient expertise for. Many pieces of jewellery that we handle are sentimental to someone. 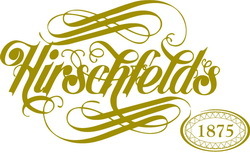 So we are used to working with family jewellery, precious jewels treasured and designer jewellery. All jewellery repairs including ring sizing, bracelet repairs, broken jewellery repairing broken rings, setting missing stones or diamonds and restringing necklaces. 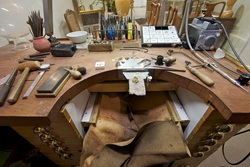 We can supply new stones, We carry out repairs that other jewellers or jewellery storess will not attempt to do. We take care of your treasured jewellery and return it to you beautifully restored. If your ring size has changed we can easily adjust your ring size up or adjust your ring size down to make the ring bigger or the ring smaller to fit you. Or if you have an antique ring or vintage to be resized whether it is a gold ring, silver ring, palladium ring or platinum ring. Is your ring missing a stone or jewellery missing gemstones or missing diamonds? Do you have a broken ring or a broken piece of jewellery? If you have lost a stone from your ring, we can supply, source and re-set a new stone. Sourcing Gemstones such as diamonds, sapphires, rubies and emeralds. We shall be able to provide a near perfect match. Jewellery plating and ring plating by post. Our jewellery repair workshop is dedicated to jewellery plating received by post. Rhodium plating is highly reflective. It has white surface which gives a sparking shine. However, over time your white jewellery may become dull because the plating has worn. We can restore your jewellery to look almost new again – Rhodium replating gives your white gold jewellery a mirror like finish. Re plating your ring, necklace or other pieces of jewellery for Rhodium Plating Gold Plating Ruthenium plating and Silver plating Postal Insurance by Royal Mail Special Delivery. Fully insured postal service. Free estimates for jewellery repairs by post. 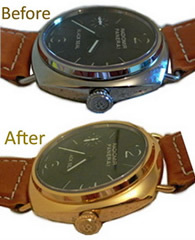 Fast turnaround – most repairs are returned within a week. Jewellery alterations, Ring repairs by post. Jewellery Repair by Post. Fixing jewellery by post. Ring sizing by post & resizing by post. jewellery and ring rhodium plating by post. We provide a nationwide jewellery repair service by post and Royal Mail special delivery. 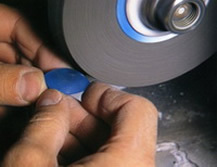 This covers the whole of the UK for professional jewellery repairs, ring repairs and alterations. jewellery and ring plating, jewellery alterations, necklace repair, brooch repairs, bracelet repairs, gemstone and diamond replacement. Ring Re-Sizing, Stone Replacement, Rhodium Plating, Restringing, Bracelet Repairs, Catches Replaced, Charm Soldering, Chain Repairs, Necklace Repairs, Earring Repairs, Engraving. Contact us by telephone in London (020 7405 1536) and we may be able give you an approximate estimate of the repair cost. Or please email us or please use the post repair form below. Please Let us know what piece of jewellery or ring etc. needs repairing or altering. When your jewellery arrives we shall telephone or email you in order to let you know that the jewellery has arrived safely. Once our goldsmiths have examined inspected the repair we shall be able to give you an estimate or a price for repair work and how long it will take to complete. If you need your jewellery repaired, ring altered or resized but you do not have time to go to your jewellers or if you do do not live locally, you can post your ring or post your jewellery to our London jewellery repair centre. Indeed any item of jewellery which needs repair. We tackle repairs that other jewellers will not attempt to fix. 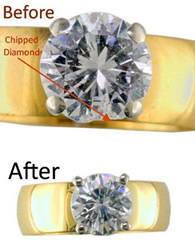 So If you think that your jewel cannot be mended - Try us for a free estimate! Sending and Posting your parcel Special Delivery is the securest way of ensuring the delivery of your jewellery and rings. Jewellery repairs by post. Ring sizing by post. Ring repair by post sent back to your home by Special Delivery- Click here to download a form. Please send us your repair, or ring size service by Special Delivery Royal Mail Registered Post. Nationwide repair service - United Kingdom insured "Special Delivery" postal service is available throughout Great Britain. Guaranteed next day delivery. 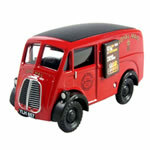 Click here for postal information from the Royal Mail. If a treasured piece of jewellery becomes damaged, we offer a First class postal repair service. The repairs are undertaken by our own experienced team of in-house jewellery craftsmen and jewellery technicians. 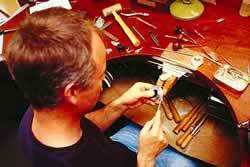 We offer the topmost in customer care for Hatton Garden Jewellery repairs. 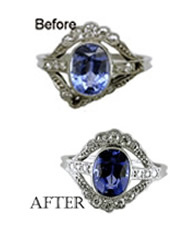 Jewellery repairs can be sent or posted to us. Completed packets are returned by The Royal Mail, Special Delivery - Registered post. Three levels of compensation are available: £500, £1000 and £2500. England, Wales, Scotland, N Ireland, Eire. We ship overseas by FedEx - Federal Express for all our worldwide customers and clients.